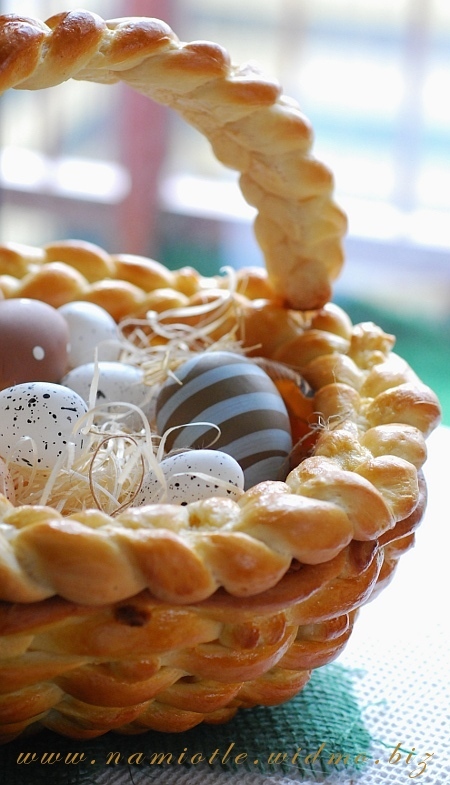 The Easter is coming so I’ve baked a basket from yeast-cake. I’ve made it from recipe for Challah. Well made and grown dough is elastic, not stick to hands and it’s perfect for making a basket. Mix milk with water. 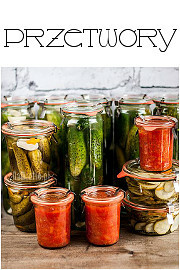 Pour two spoons of that mixture into a glass, add yeast and leave for a few minutes. 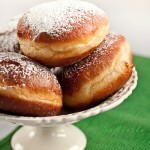 Mix egg, water with milk, olive oil, salt and sugar in the bowl. Slowly add flour. After adding flour make the dough until it’s soft and elastic. Leave it until it doubles its size. After that make for a while and form rollers. 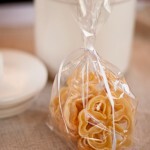 For making a basket you will need a bowl (glass and ovenproof). Oil or wrap with foil the outside of the bowl (when you use foil it comes off easier). Turn the bowl upside down and form the basket. Make it the same way the baskets are made. 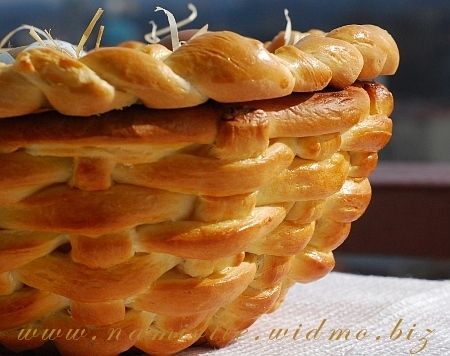 After forming your basket grease it with egg yolk and bake until its gold. Leave it and let the basked get cold. Now form the brim of your basket. Draw the bowl on a graseproof paper. 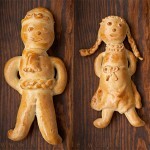 Make three long rollers of the dough and make a plait. Lay the plait on the drawn circle, grease with egg yolk and bake until gold. Now form three rollers more and make another plait. It’ll be the handle of your basket. 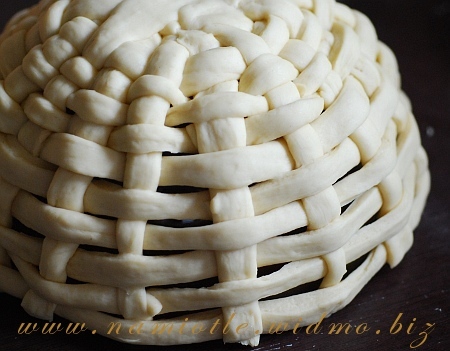 Lay this plait over the diameter of your bowl, grease with yolk and bake like another pieces. After baking stick it all together (I use pieces of toothpicks for better stability). And now your basket is ready. Sounds complicated but the devil is not so black as he is painted. 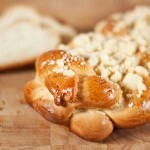 Share the post "Challah basket"